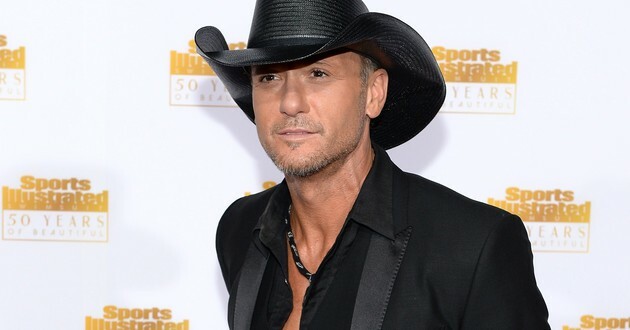 Tim McGraw is set to perform during 2016 Pro Football Hall of Fame Enshrinement Weekend. He will play at the newly renovated Tom Benson Hall of Fame Stadium on Friday, Aug. 5 at 8 pm to kick off an exciting weekend in Canton that celebrates the Enshrinement of the Class of 2016. Concert for Legends tickets go on sale Wednesday, Jan. 27 at 10 am and may purchased at ProFootballHOF.com/tickets or by calling 844-­4HOFTIX (844-­446-­3849). Tickets prices: $40, $60, $80, $130, $180 and $230. “The Pro Football Hall of Fame is honored to have Tim McGraw perform at the Concert for Legends. In addition to being a legendary music icon, Tim is also a huge football fan,” Hall of Fame President David Baker stated. Baker was the Commissioner of the Arena Football League when McGraw owned the league’s Nashville Kats. McGraw recently co-­produced and narrated a documentary, “Favre Returns,” about Class of 2016 finalist Brett Favre. The production was part of the new NFL Network documentary series The Timeline. The Concert for Legends was added last year to bring added excitement to the spectacular Enshrinement Weekend in Canton that bookends the NFL regular season with the Super Bowl. Aerosmith played to a sold-­out crowd in the inaugural Concert for Legends last August. The Class of 2016 will receive their coveted Gold Jacket at the nationally televised Enshrinees’ Gold Jacket Dinner on Thursday night in front an audience of 4,500 fans. Then, Tom Benson Hall of Fame Stadium will serve as the venue for three major events on successive nights. McGraw will be the first event inside the renovated stadium that is part of the $500 million Hall of Fame Village project underway on the Hall’s campus. The night following Concert for Legends, the Class of 2016 will be formally enshrined into the Hall. The NFL will kick off its 97th season in the annual NFL/Hall of Fame Game on Sunday, Aug. 7.